So - a fairly basic unboxing video revealing a lovely nest that my cats are still sleeping in, and a bag of gluten free chips. Now - I'm pretty sure that anything that is purely corn is gluten free, but I'm betting that some people will hide wheat and other things in their varieties of this product so the declaration is at least reassuring if not useful to me. What is useful is the recipie. 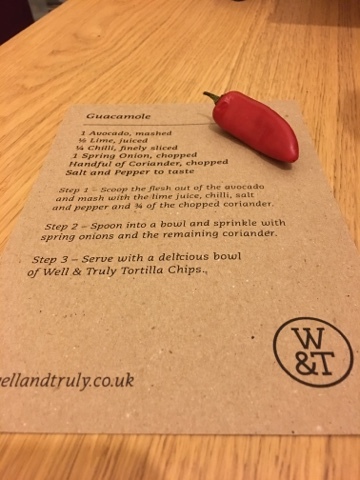 I'd never sit and eat a bag of chips, even the flavoured versions - these are for sharing or with a meal - and for that you need a dip. 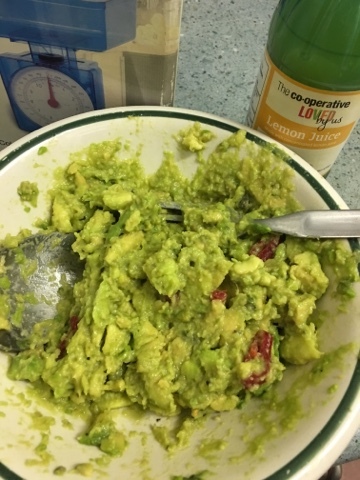 We take an avocado that appears to be the right freshness, and hit it until mushy with the chopped chillie (as provided) and some lemon juice (didn't have lime) and some sun dried tomatoes because they are zingy and amazing. As usual it doesn't look up to much. And here is the product! The bag is pretty clear, the chips survived their postal adventure well and we have back up squirty dip for use if needed. 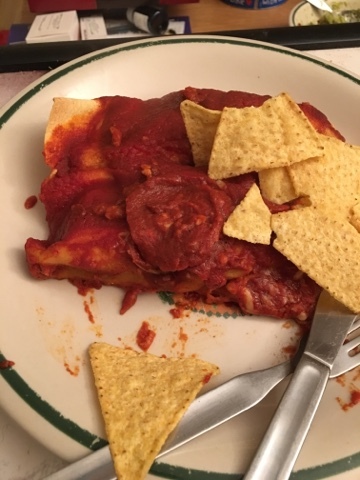 Our home made dip was amazing, so we didn't need that El Passo dip, but we did also have one of their enchilada kits as the main. The chips were crispy and had the warm, corn flavour you'd expect. They were thick enough that you didn't feel like you had a bag of crisps, and the saltiness I mentioned in the video is muted by using them as intended with the dip. It's a lovely mix and something I'd certainly consider again. I threw a few on my main course too, which added an extra texture and covered for my lack of cheese. 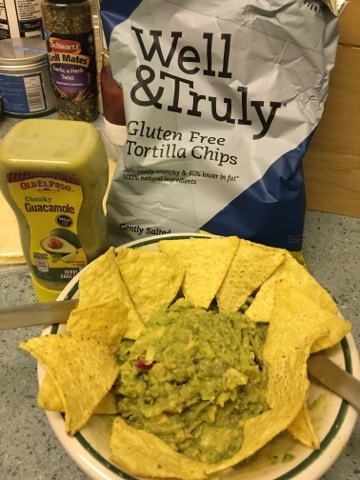 I also added some home made guacamole to the last few bites which worked well. 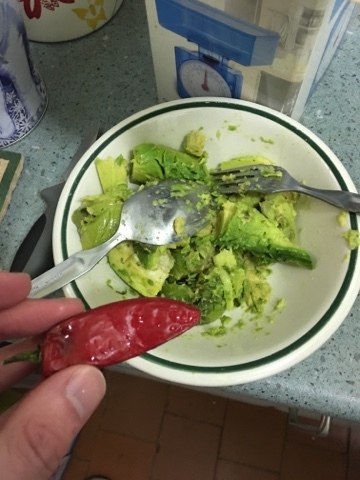 A good excuse to have a more varied Mexican night, and a great thing to keep around for a party snack with the suicidal avocados that seem to go brown when you least expect it. A decent staple version of a classic, with no added nonsense to get in the way of cooking with them.